Yes! The Magnificent Stunts are back and this time they're racing around the backlots and studios of Stuntwood. Battle to destroy your dastardly stunt rivals; Stunt Guy, Stunt Gail, Mucus, Danger-Susan and Nurse Long... and watch out for oil slicks, TNT and squirrels as you race masses of different cars through beached pirate ships, backflip over huge canyons, barrel-roll through rings of fire and smash your way through the competition with the crazy power ups including: - purple-hot Laser Wang, crushing Monsta Mode, tommy-gun wielding Mob Mode and the almost useless Mole Mode! Do you have Stunt Wheels for your Mac? Well great news - you can use the iOS game as a virtual gamepad over WiFI and battle it out with up to four of your friends - check it out - it's wicked fun! 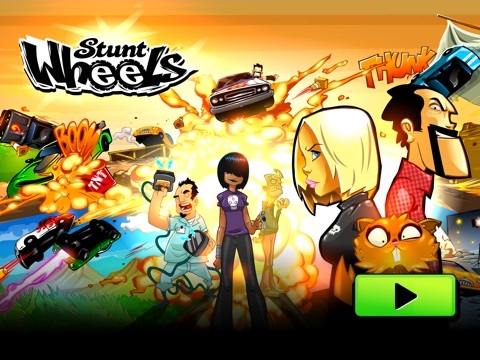 Finally, to keep you jiving while you're driving Stunt Wheels features the music of Todd Kerns, CJ Wildheart and The Eureka Machines, how awesome is that! Yes! The Magnificent Stunts are back and this time they're racing around the backlots and studios of Stuntwood. Battle to destroy your dastardly stunt rivals; Stunt Guy, Stunt Gail, Mucus, Danger-Susan and Nurse Long... and watch out for oil slicks, TNT and squirrels as you race masses of different cars through beached pirate ships, backflip over huge canyons, barrel-roll through rings of fire and smash your way through the competition with the crazy power ups including: - purple-hot Laser Wang, crushing Monsta Mode, tommy-gun wielding Mob Mode and the almost useless Mole Mode! *** Also Featuring Party-Play Controller *** Do you have Stunt Wheels for your Mac? Well great news - you can use the iOS game as a virtual gamepad over WiFI and battle it out with up to four of your friends - check it out - it's wicked fun! Love the Stunt Guy games. Looking forward to checking this one out. I've been playing this for a while now and really enjoying it. 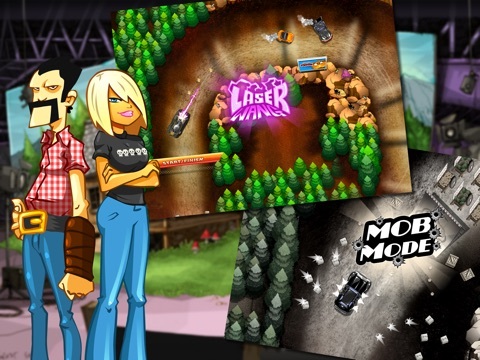 I'm a bit of a Kempt fan so I was always going to like it, but I can see a lot of people really enjoying it as it takes the feel and steering of the Stunt Guy games and turns them into a derby game. 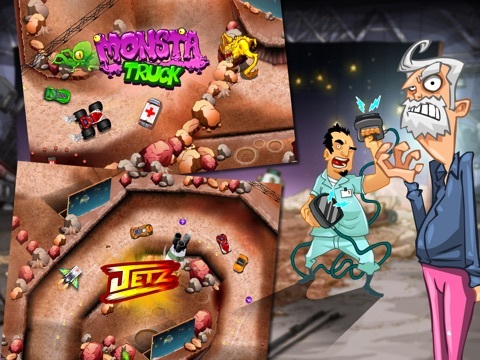 Great fun, recommended especially as a free download. Same here. I'm a huge Kempt fan, so I'm kind of biased, but I'll try to leave some decent imps after I finish checking out everything else this morning. UPDATE: As expected, I love this game. If you dug Stunt Guy, you'll really like this one. 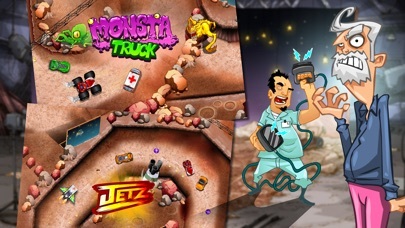 It has the same great art style, some of the same cars and power ups. It's a lot of fun. Super-pleased to hear that you're enjoying the game! It goes worldwide at Midnight but if anyone fancies having a go at it early I have a few codes left - so here you go! Thanks, I grabbed L3RYT9JJJWF4, I'll leave some imps after I get a chance to play. Thanks . K4RKL9NAEW7N is mine . All codes have been claimed. No longer available in U.S. store either. Played a bunch of races. It is a fun game. 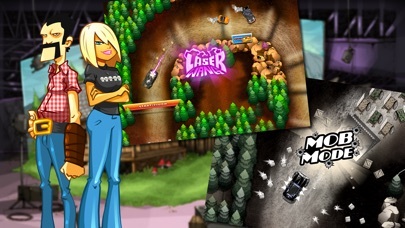 You race against ai opponents to finish first, gather all the trophies and destroy all things on track. You steer and the car speed is done for you. 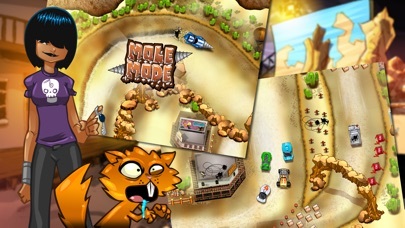 You can earn some cars, as the only iap I have found so far is for new cars. 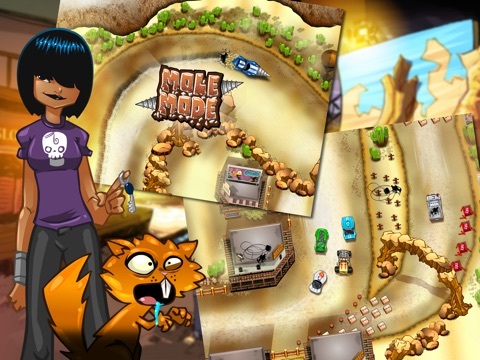 A decent race game and well worth the download. Think it has potential. Just not a fan of the controls, arrows far apart at the bottom, you dont change the speed or anything so if you miss something or crash you just keep crashing tons as you're trying to turn around to get the item etc.